In 2013 JCJ Architecture was selected as the Architect of Record, to update and enhance hotel guest experiences through renovations to the pool deck and event courtyard, designed by Looney & Associates. Improvements to the property serve the existing 1,190 guestrooms by optimizing panoramic views to the bay and promoting the Hilton Brand with enhanced landscaping, a bay-front promenade, updated pool and hot tub, children’s splash pool and a new 450 square foot fitness center addition. The project includes a new exterior bar and service center, where hot and cold beverages are prepared and served and where guests enjoy snacks and full-menu offerings prepared in the hotel’s main kitchen. Hilton San Diego Bayfront, is a 30-story hotel tower, originally designed by John Portman & Associates and completed in 2008. 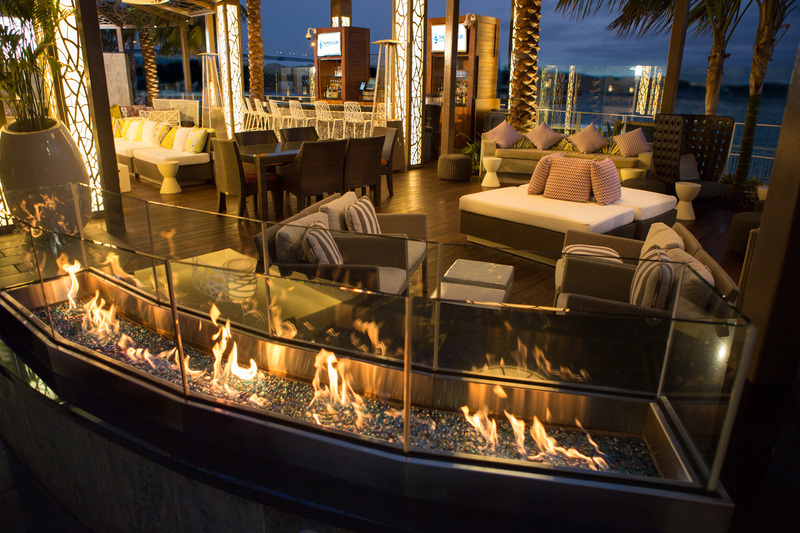 Serving as a modern hospitality experience in the Marina District of Downtown San Diego, the hotel provides access to Petco Park, the Gaslamp Quarter and the San Diego Convention Center.